Sunrisers Hyderabad won the match by 7 wickets. Sunrisers Hyderabad won the match by 7 wickets against the Delhi Daredevils at Rajiv Gandhi International Stadium, Hyderabad. Rashid Khan was awarded the Man of the Match for his exceptional match-winning spell that actually set the temperament for Hyderabad to bound DD to a target of 165. Team Circle of Cricket gets down to list the 5 talking points of the match. Prithvi Shaw, the young lad from Delhi Daredevils is having a wonderful maiden IPL. The youngster scored blistering 65 runs to lead Delhi Daredevils despite Maxwell's flop show as an opener as well. He did not leave any corner of the boundary to score runs. He was fantastic throughout his innings. It was yet another a fine knock by the player. He has impressed everyone with his amazing back to back fifties and the way he is keeping up with these International players is marvellous. Prithvi Shaw will definitely get a chance to represent India at an International level. Shaw timed the ball to perfection, attacking from the onset. His aggressive intent against the Pacers paid off, as they bowled back of a length to him. The captain played a crucial knock of 44 runs to sail Delhi's ship further. Iyer had to step playing good strokes as no other player was able to score runs, in fact, Rishabh Pant also failed to deliver against the best bowling attack in IPL 2018. Iyer started off steadily with timely big hits. He was handed a life by Wriddhiman Saha when on 29 off Rashid and rubbed salt in SRH's wound after he smashed the legspinner for a six off the next delivery. It was just another day for Rashid Khan as he bowled really well for his 2/23. The leg-spinner from Afghanistan has been bowling really well for his team to restrict the other opponent. He has also become the youngest cricketer to play 100 T20s games. The bowlers of Sunrisers came and bounced back exceptionally well after just conceding 68 runs off the last ten overs, that was the real turning point of the match. On the other hand, Delhi Daredevils were short of 20 runs. Amit Mishra of Delhi tried to pull things back by his two quick wickets but SRH had already won the race as they started off their innings with a flier. 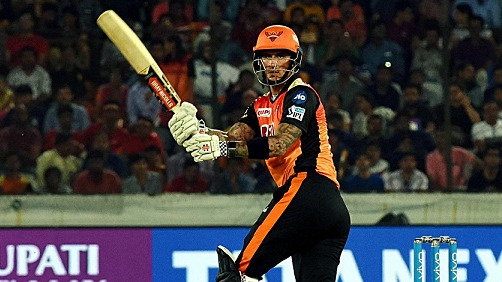 Alex Hales and Shikhar Dhawan had put enough runs on the boards to release off pressure from the middle order to win Sunrisers seventh victory of the season. Delhi bowlers need to be quick while breaking crucial partnership as they also are on a verge of eliminating from the tournament. It was only Mishra who took a pivotal breakthrough for his team. Avesh Khan was expensive like hell. Sunrisers Hyderabad won the match by 7 wickets to reclaim top spot at the points table. They had a convincing win over Delhi Daredevils. 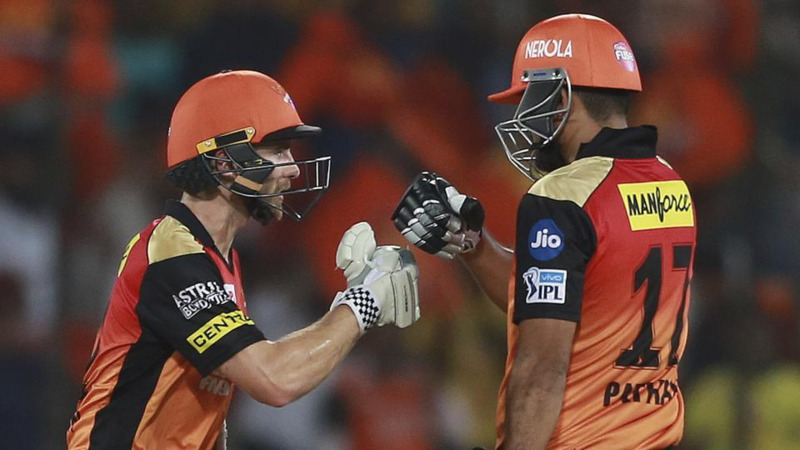 It was an all-around performance by SRH team to lead the points table. Yusuf Pathan was brilliant in scoring 27 off 12 deliveries to put things in the right corner. His form will be beneficiary for his side to go in the finals. The fantastic partnership - 32 off 16 deliveries - between Kane Williamson and Yusuf Pathan took them past the finishing line. Williamson was calm at one end, and from the other end, it was the powerful Pathan. It was the perfect combo for Hyderabad to register their seventh win and go to the top of the table.